This is what Thanksgiving sweet potatoes should taste (and look) like. The countdown to Thanksgiving is on, so I wanted to get this recipe out a few days before the big day! Especially since most families serve some sort of sweet potato dish on Thanksgiving. If you’re over that traditional sweet potato recipe (ya know, the one with marshmallows?) 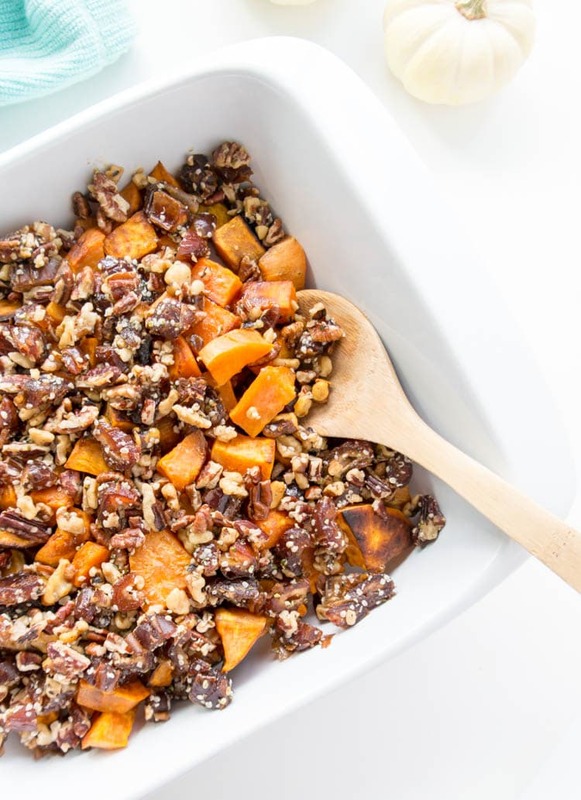 served every year at your Thanksgiving meal, bring these Roasted Sweet Potatoes with Maple Pecan Date Crumble… you’ll score some serious points at the table. Everything literally melts in your mouth. And the textures are so on point! It will be the highlight. Crispy on the outside, soft on the inside sweet potatoes. The gooiest maple syrup-y crumble of crunchy pecans (and walnuts if you want) chopped dates and a hint of cinnamon. Does that not sound incredible?! 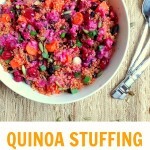 I also added a tablespoon of hemp hearts for good measure (and looks) but it’s totally optional. 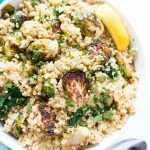 Everything about this recipe is spot on and I think it’s the contrast in textures but also the flavors, and how they all come together in the BEST of ways. The dates are crucial as they add a certain stickiness factor and caramel-y flavor – and in an all-natural way! Dates are nature’s candy after all. I normally buy the package of ‘fancy medjool dates’ from Trader Joe’s (in the refrigerated section near the fresh fruit) but any grocery store will have them. I suppose you could switch them out for raisins, but I haven’t tried that. Look no further, just make this sweet potato side and call it a day. Peel then chop the sweet potatoes into bite-sized 1-inch cubes. Toss with 1-2 tablespoons coconut oil to lightly coat (for better browning) and a pinch of salt. 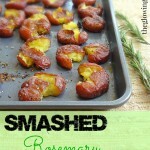 Then spread them out evenly on a parchment paper lined baking sheet and bake for 25 minutes. Meanwhile, start on the crumble by chopping the pitted medjool dates, they should be soft and gooey to start. If they’re not, soften them up for 5 minutes in warm water first, then chop and mix them together in a bowl with pecan pieces, crushed walnuts, maple syrup, a little more coconut oil, cinnamon and hemp hearts. Try not to eat too many spoonfuls of this decadent goodness. 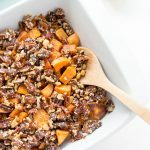 Once the sweet potatoes are finished roasting, remove them from the oven and turn down the heat to 350 degrees F. Transfer the sweet potatoes to a baking dish (square or rectangle) and generously top with the date crumble. Bake 20-25 more minutes (until toasty and lightly browned) then serve and enjoy!! 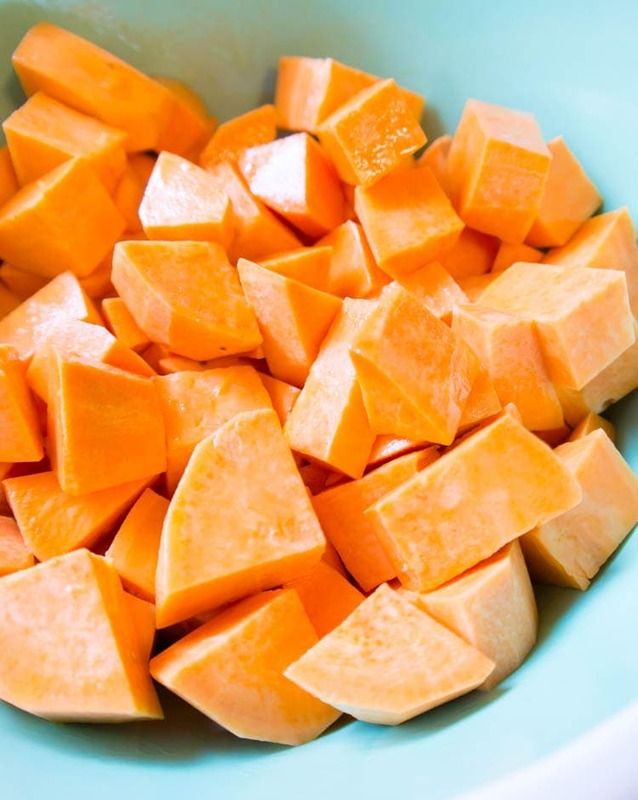 Peel and chop the sweet potatoes into 1-inch cubes. Toss with 1-2 tablespoons coconut oil to lightly coat (for better browning) and a pinch of salt. Then spread them out evenly the baking sheet and bake for 25 minutes. 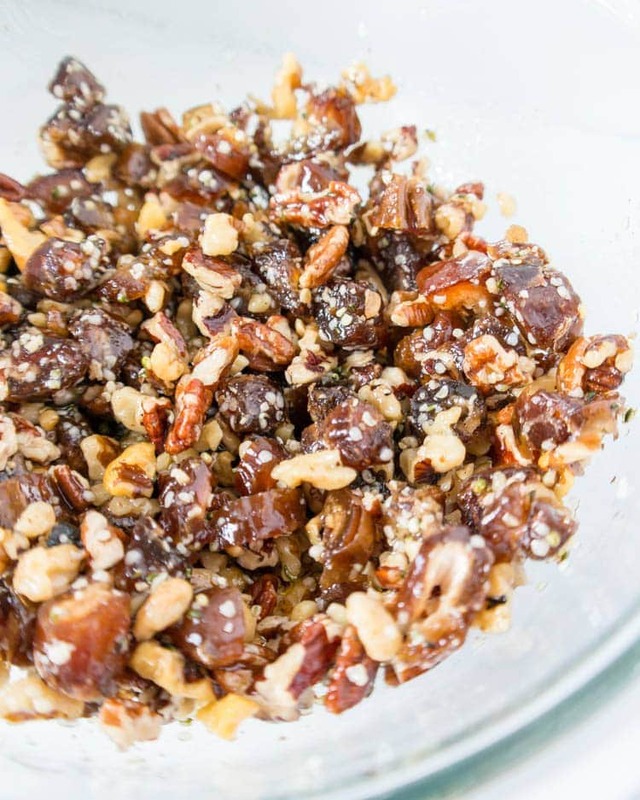 Meanwhile, start making the crumble by chopping the pitted medjool dates, then mix them together in a bowl with pecans, walnuts, hemp hearts, maple syrup, coconut oil, vanilla and cinnamon. 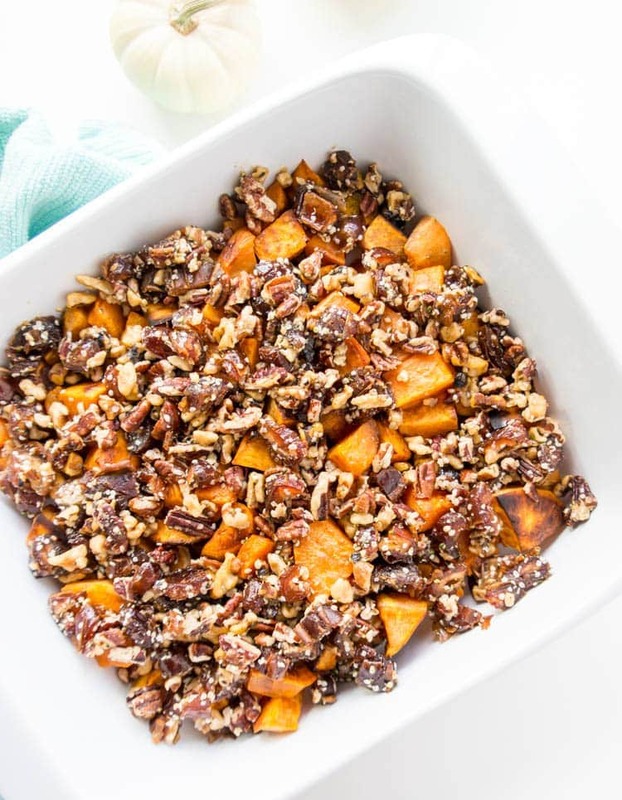 Once the sweet potatoes are finished roasting, remove them from the oven and turn down the heat to 350 degrees F. Transfer the sweet potatoes to a baking dish (square or rectangle) and generously top with the date crumble. Bake 20-25 more minutes, until lightly browned and toasted. 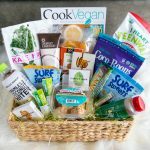 *You can use any kind of coconut oil here- but if you don’t want a coconut taste then use refined. *If the dates are not soft, soak them in warm water for 5 minutes to soften. 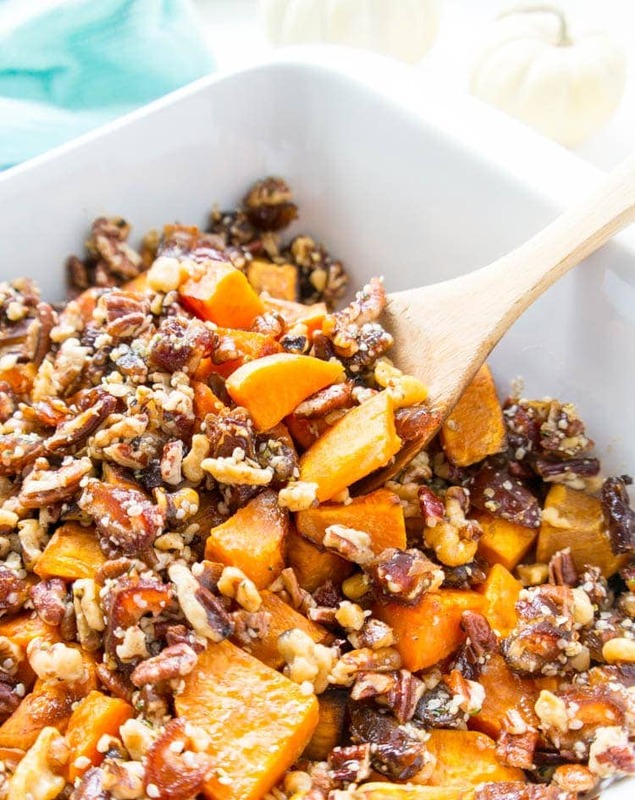 I want to see your pictures when you make this sweet potato side dish, don’t forget to tag me on social media! 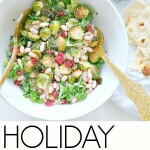 This doesn’t have to be just for Thanksgiving, but for any holiday or any party, any time.